Remove the front side door opening floor carpet retainer. Refer to Front Side Door Opening Floor Carpet Retainer Replacement. Press the release cable handle upward to release the retainers from the instrument panel bracket. 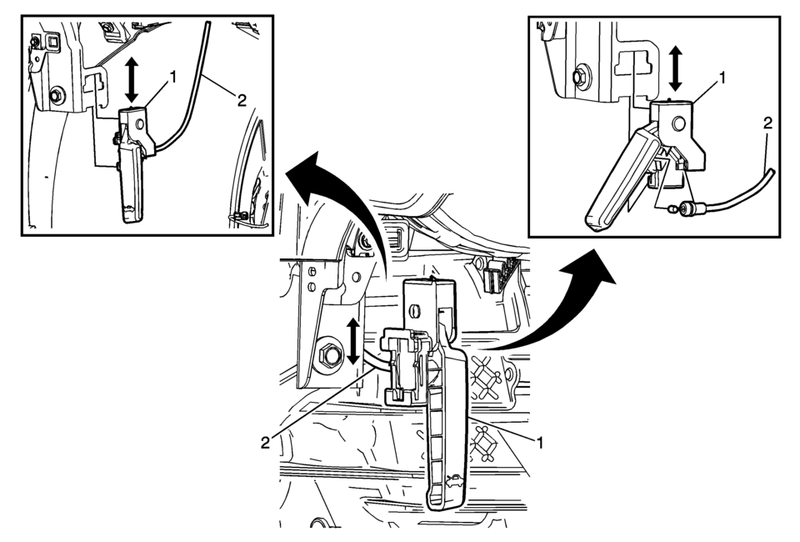 Disconnect the hood release cable from the hood release handle.